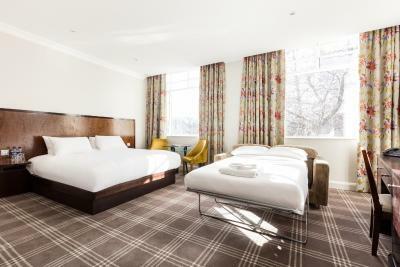 Lock in a great price for Radisson Blu Edwardian, Grafton - rated 8.2 by recent guests. Excellent choice of breakfasts. set us up for the day. Perfect location for station and getting into city. Location near Warren Street Station excellent. Also we could walk down Tottenham Court Road to Soho & Covent Garden. We enjoyed italian dinner at Franco Manca and excellent vegetarian Indian restaurant Sagar, all in walking distance. A lovely hotel in an excellent location. 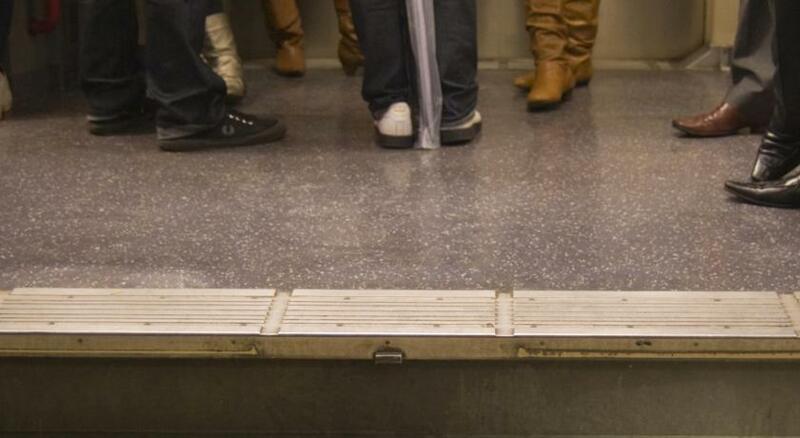 Right by the tube station and just 5 minutes from Leicester Square. The room was quite small but it was very clean and had everything we needed. It had a lovely bathroom and I was very impressed by the REN toiletries. However, our room was right next to the lift, and we could hear lots of chairs scraping on the floor when breakfast opened. So, despite it being a good room, we did not get a good night’s sleep and will ask for a quieter room next time. Room was clean and the hotel very smart looking downstairs. The restaurant was amazing! The hotel was nice. The room was very small and quite basic but functional. 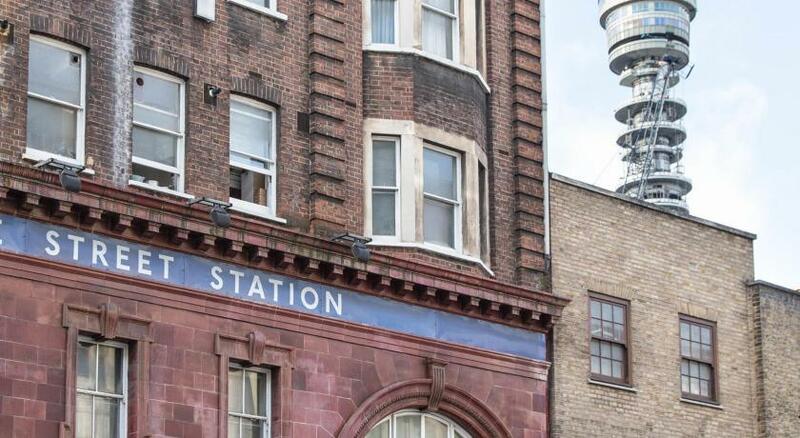 Situated on Warren Street underground station making it too convenient to roam around easily. The staff were very friendly and professional. The room was spacious and comfortable. 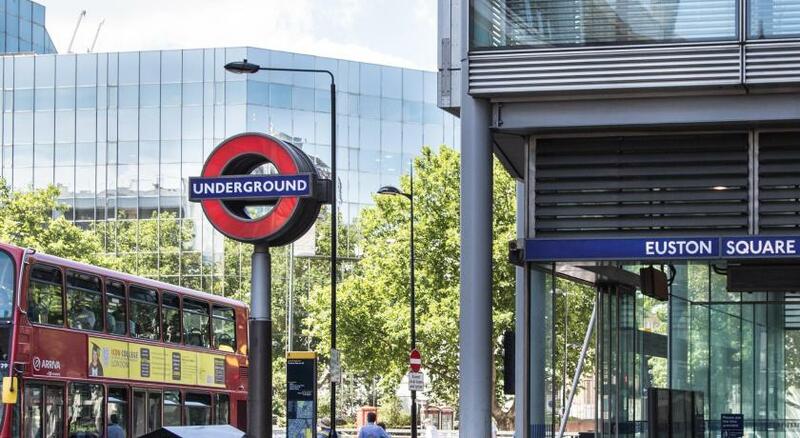 One of our top picks in London.In London's buzzing district of Fitzrovia, Radisson Blu Edwardian, Grafton offers luxury, boutique accommodation on Tottenham Court Road. 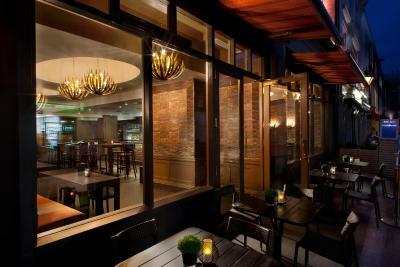 The stylish hotel has a modern restaurant and free WiFi. The sumptuous rooms are furnished with custom-made wall coverings and designer Italian chairs. 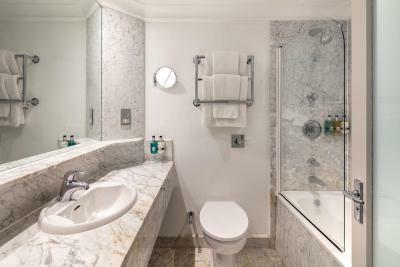 All rooms have a Sicilian marble bathroom with complimentary premium skincare brand REN toiletries, Egyptian cotton bed linen and each features air conditioning. Guests can enjoy rib-eye steaks and fresh whole half-shell lobsters in the chic onsite Steak & Lobster restaurant. 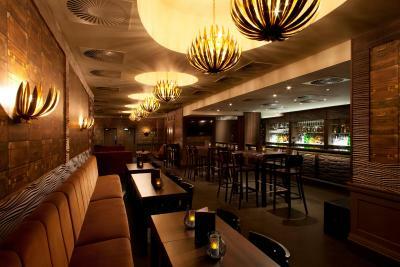 The bar has a large-screen TV showing Sky Sports, and offers a range of beverages and light snacks. A buffet style breakfast is available in the morning. 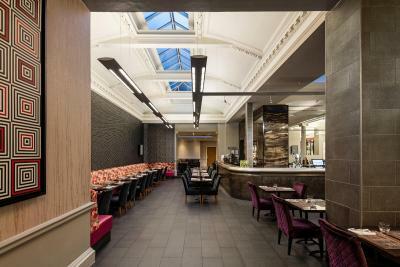 The building of the luxury, 4-star Radisson Blu Edwardian, Grafton used to be the Aston Martin Owners Club. The contemporary hotel also has a compact 24-hour fitness centre, a 24-hour front desk and 11 meeting rooms, which can host 2-150 people. 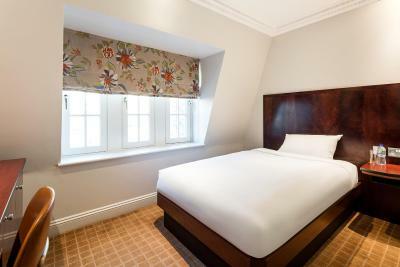 Radisson Blu Edwardian, Grafton is just 100 yards from Warren Street Underground Station. Lively Covent Garden and King’s Cross St Pancreas Railway Station, with the Eurostar to Paris and Brussels, are both a 15-minute walk away. 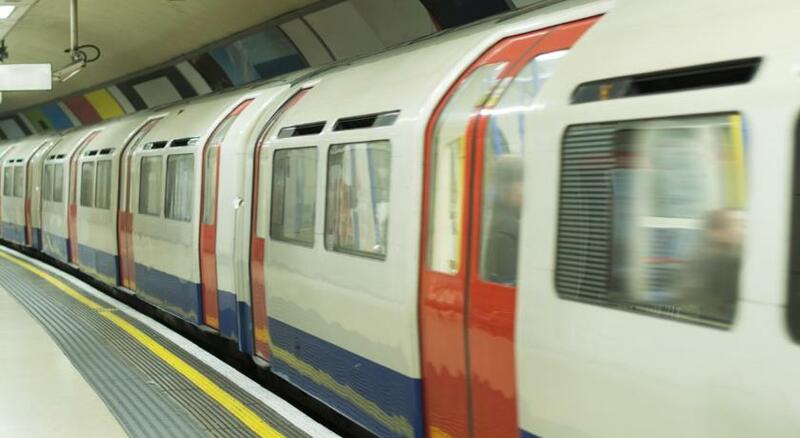 Regent's Park is a 10-minute walk away, while Oxford Street and Carnaby Sreet are just 0.7 miles from the hotel. 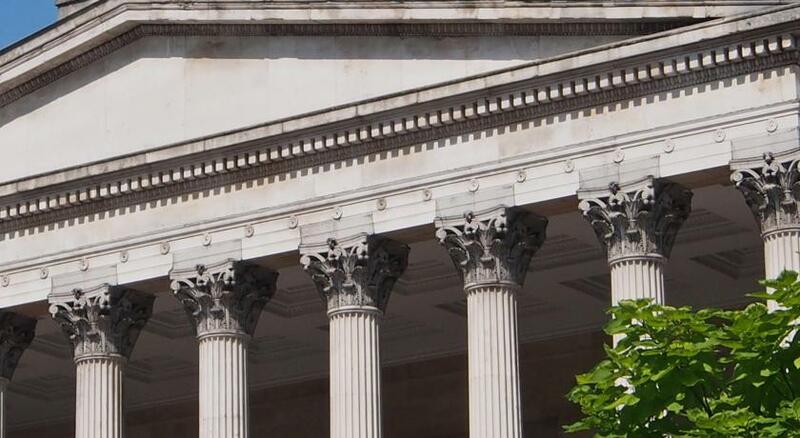 The nearest airport is London City Airport, 8.1 miles from the hotel. Radisson Blu Edwardian, Grafton has been welcoming Booking.com guests since 2 Oct 2006. 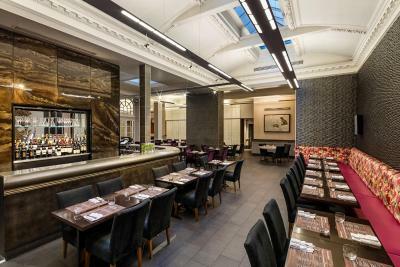 When would you like to stay at Radisson Blu Edwardian, Grafton? 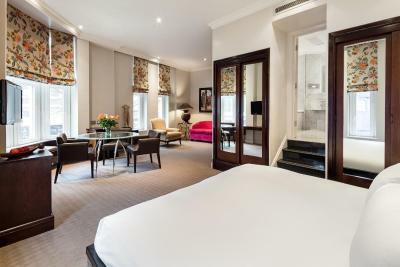 This room has free WiFi, Digital entertainment system & satellite channels, work desk with international phone sockets, tea/coffee making facilities, complimentary water refreshed daily, in-room safe, iron and trouser press and crisp linen. Access to the bedroom floors is by room key only. 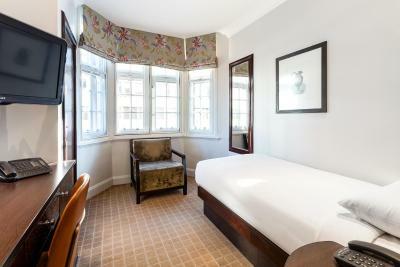 Our Superior Single room is more spacious than the standard single, offers a larger bed and full size baths. These air-conditioned rooms feature free WiFi, Digital entertainment system & satellite channels, tea/coffee making facilities, complimentary water refreshed daily. 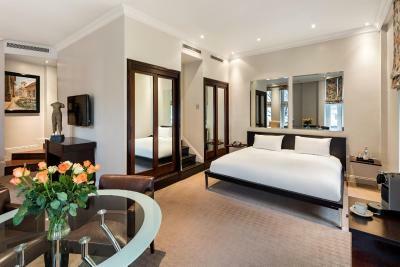 Our Deluxe King room with luxury bathrobes offers free high speed WiFi, Digital entertainment system & satellite channels, work desk with international phone sockets, in-room safe, tea/coffee making facilities and complimentary water refreshed daily. Triple rooms offer twin bed with either a single sofa bed or single extra bed and can accommodate up to 3 people in total. 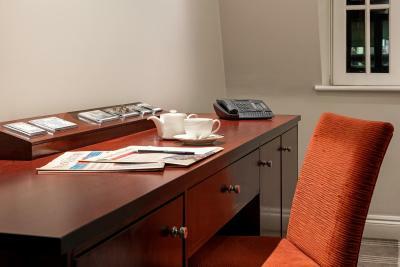 These rooms offer free high speed WiFi, Digital entertainment system & satellite channels, work desk with international phone sockets and tea/coffee making facilities. These bright suites are contemporary with sleek furniture, open plan lounge area and marble bathrooms with luxury bath products and bathrobes. Featuring free high speed WiFi, Digital entertainment system & satellite channels, work desk with international phone sockets and in-room dining table. These suites are spacious and contemporary, with specially commissioned designer furniture, and luxurious Philippe Starck bathroom suites. They benefit from a marble bathroom and sleek furniture with a king-size bed and lounge area, including sofa and dining table to seat six. - GBP 15.00 daily credit on Food and Beverage. This excludes breakfast and room service breakfast. House rules Radisson Blu Edwardian, Grafton takes special requests - add in the next step! Radisson Blu Edwardian, Grafton accepts these cards and reserves the right to temporarily hold an amount prior to arrival. 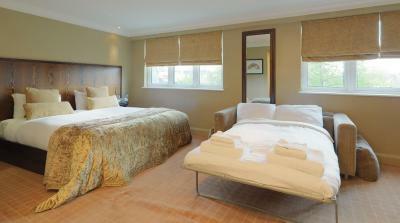 All images shown are designed to give guests an idea of the room type booked. Each room is unique and may vary from the actual picture shown. Please enquire with our team if you would like further information. Maybe a view from our bedroom, but thats being piccie. Informed at check-in that I was upgraded to a superior room from the standard one I had booked. Happy this was the case, as the superior one looked pretty standard to me. Couldn't get TV to work. Area close to the hotel a bit messy with major roadworks and, sadly, many homeless people. 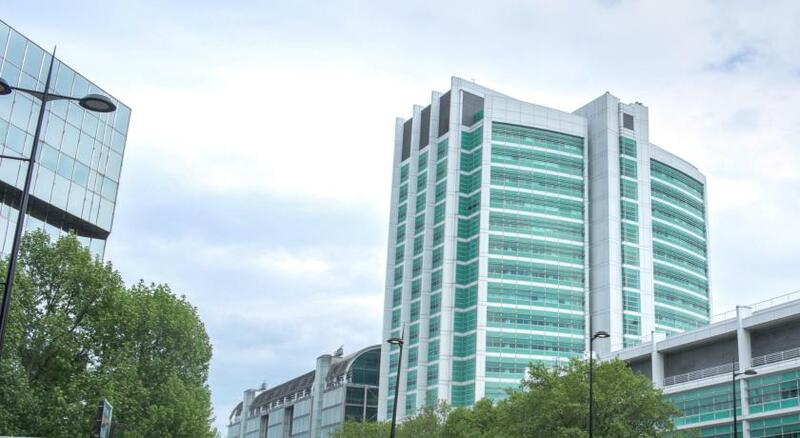 Location good, convenient for Euston Station, right next to Warren Street tube, and easy access to city centre areas. Friendly staff. Somewhat expensive as breakfast not included, extra to watch TV, limited number of beers and doesn't really promote "London Ales". Go to London and offered Italian beer or bottled pale ale sorry I don't get it. I liked the service and the friendly staff. Accidentally booked single room so price was too high. Single bed was tiny and on angle so kept rolling. Shower when set them changed from boiling to cold and back. Air con in room was not very effective and it’s fan was rattling. Shower was either scalding hot or cold, no in between. Room was clean and tidy, good location. I choose it for location! Location of the room - too noisy! Our room was very small and very noisy!! Both outside and inside the hotel. The Hoover was on before 9am on a Sunday morning. We NEVER get to lie in so this was disappointing as it was a time we were able too. All the facilities are very old. View from my window - communicational tubes. Small thing - no row vegetables for the breakfast. Disappointed that the very noisy major roadworks immediately outside the hotel were not brought to our attention in the pre arrival correspondence. Likewise both in advance and when check in the discounted price breakfasts for pre booking were not brought to our attention . Got room in front of main road where road construction was going on restoring too much noice during day and until 9 and one night whole night. Had to change room.